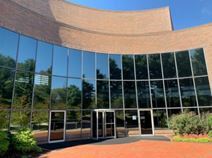 Office Space - Milford (Connecticut), Connecticut. With many different office suites available, this class A corporate building is able to accommodate many types of businesses and their needs. Conveniently located nearby the Milford Train Station. The large list of amenities ensure that businesses within this space have every opportunity to have a successful work environment. Milford is home to many local restaurants and engaging activities for clients to enjoy.